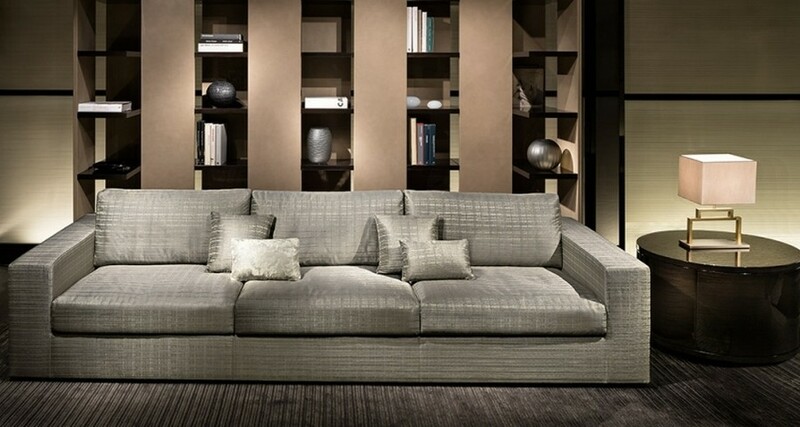 To make furniture by Armani, one needs materials by Armani. 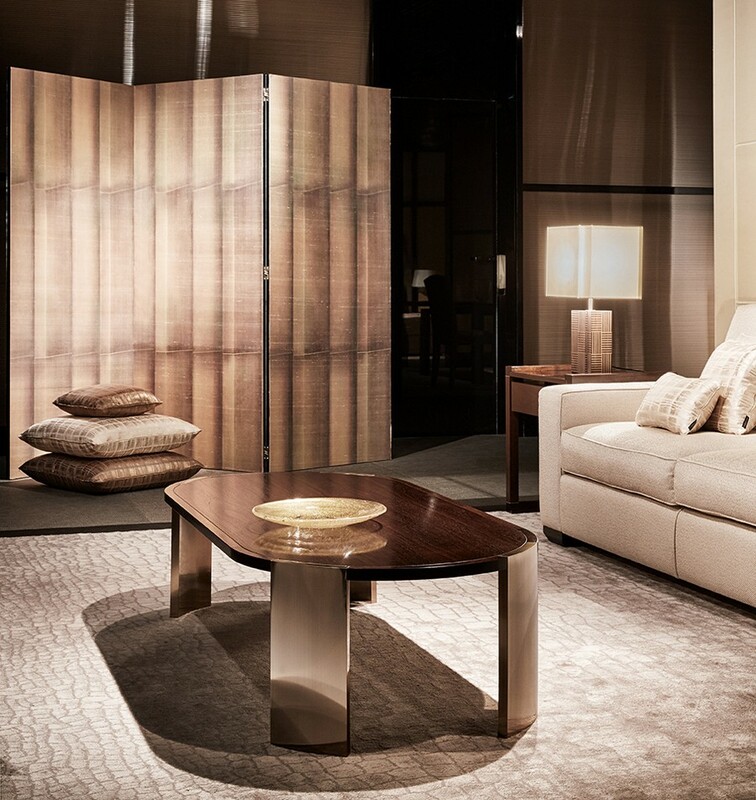 In particular, fabrics used for upholstering furniture and designing interiors by Armani/Casa are created in cooperation with the Rubelli Company. This brand is in Top-3 of the world’s leading textile manufacturers and also doesn’t limit itself to residential projects, no matter how expensive they are. 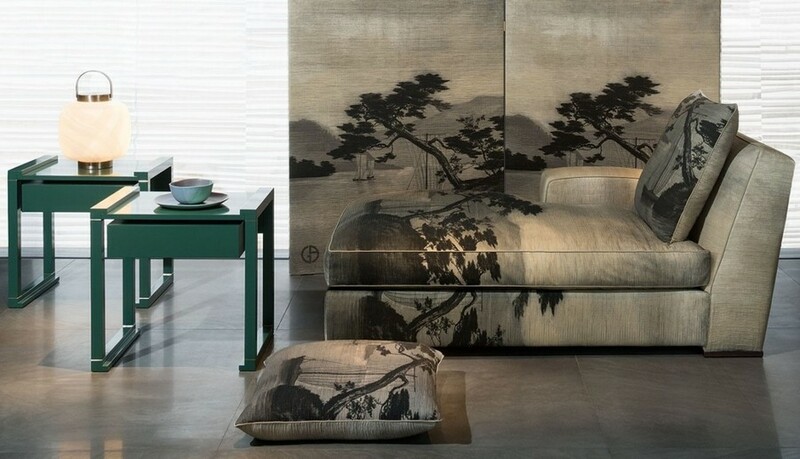 Rubelli fabrics are used in finishes of the most famous opera halls, theaters and museums of the globe, let alone ancient castles and luxurious ships. Textile of this brand already adorns the Bolshoi Theater, La Scala, Teatro La Fenice in Venice, the Theatre of San Carlo in Naples, Teatro Petruzzelli in Bari, Sheraton, Hilton and Sherwood hotels, Carnival, Celebrity Cruises, Costa Crociere cruise ships and other iconic destinations. By the way, royal families of Spain, Great Britain, Oman, Saudi Arabia, and the Netherlands are also loyal customers of Rubelli. One of the main particularities of the factory is its huge archive including thousands of samples of fabrics of different styles and epochs; many new collections launched by Rubelli are created using archive documents and ancient technologies coupled with modern top quality. Just imagine how much global expertise, century-old traditions and eternal style are incorporated in every piece of fabric created by Armani and Rubelli. 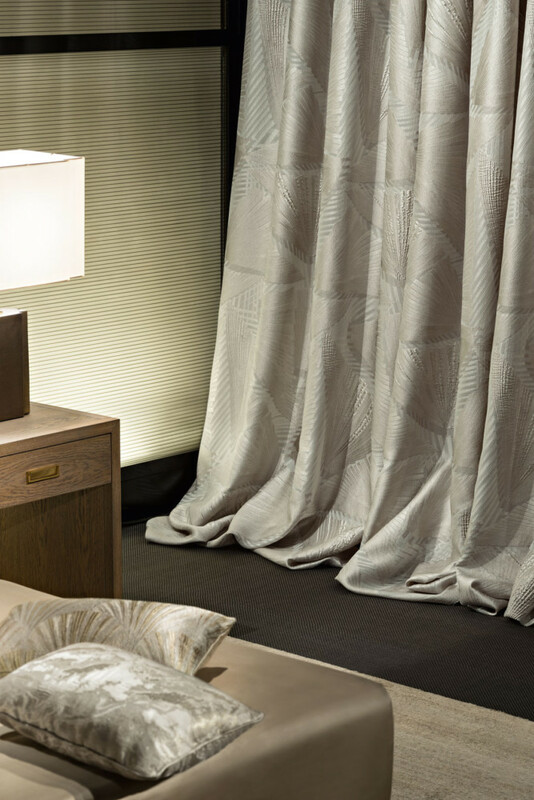 The story of finishing materials by Armani/Casa was given continuation when Giorgio developed an exclusive series of wallpaper in cooperation with Jannelli&Volpi (Italy) in 2015. So far it comprises three collections: Graphic Elements with a textile background and geometrical prints, Precious Fibers in quiet color shades with a vlieseline backing and a textile top layer, and Refined Structures based on vinyl with patterns imitating reptiles’ skins, mosaics and landscapes. 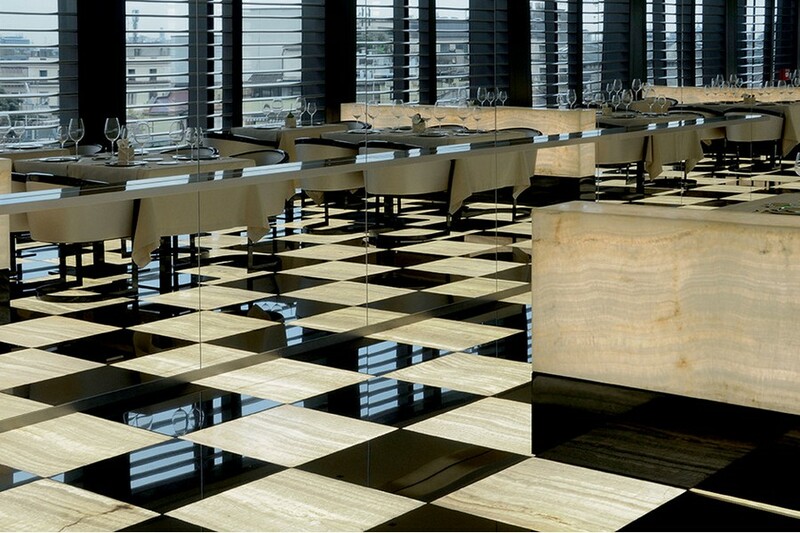 Well, now total-Armani interiors are far closer. Finally, the next logical step for the idea of full-fledged interior solutions based on own materials, furnishing, textile and studio was implemented in the design of hotels. Giorgio once said, “Selling one table or even 10 tables is not a business. And when a new hotel needs 100 tables and 150 beds – this is a business”. Besides, he has always wanted to demonstrate the true comfort a hotel should have. 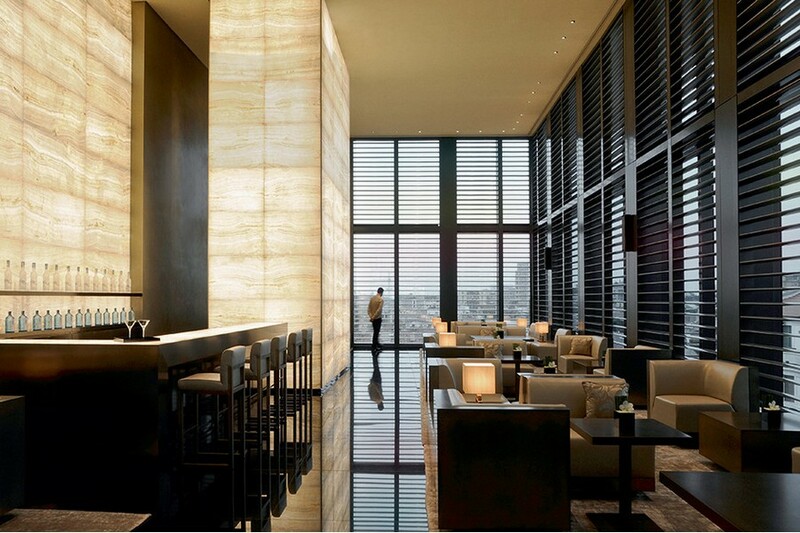 This is how Armani Hotel Dubai and Armani Hotel Milan emerged on the map. The building for the latter was selected by senior Armani himself: as a little boy, he used to come here, to a café with his Dad. And when he grew up and was desperately searching for the right building, he was surprised to find out that on the plan the ex-café has the shape of “A”! 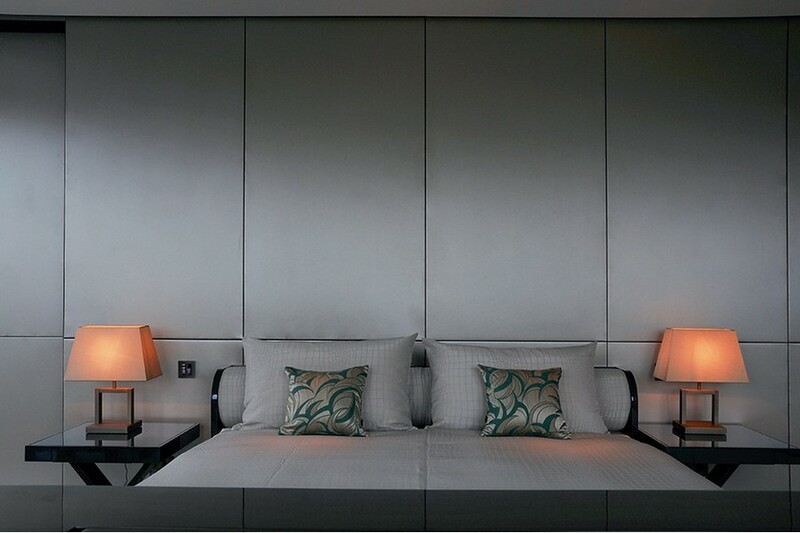 Well, if you want to get into Armani world, be ready to pay 700 Euro per night. Here you’ll find the couturier’s favorite color combinations, simplicity of forms and gorgeous materials. For instance, the walls here, even in bathrooms, are decorated with silk. Just a glimpse and you realize that Armani’s style is likely to last forever in the world of design. And 83 years is not a limit – it’s just the right time to start the new era in his creativity. Happy birthday, Giorgio!